Travel for photographers can be a challenge, at times, especially with the restrictions the airlines often throw our way. (This article has some excellent airline travel tips for photographers.) 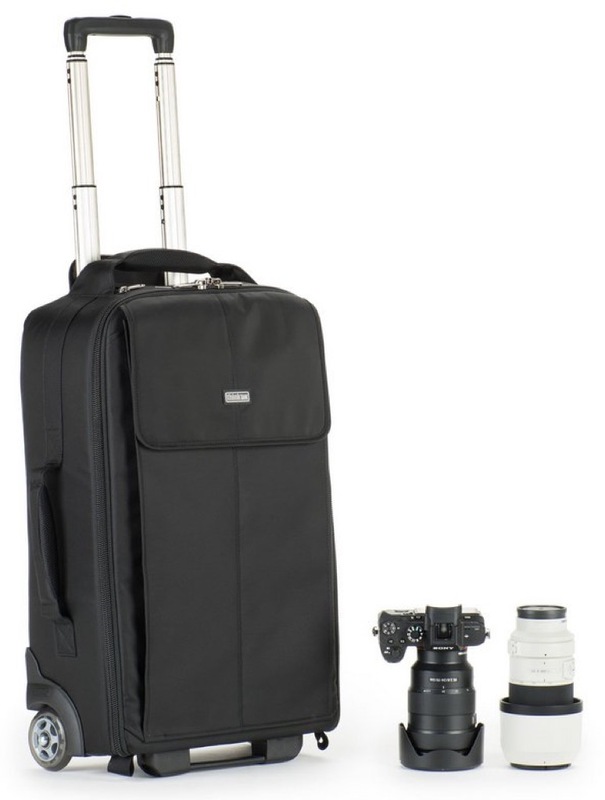 Think Tank Photo has introduced a new rolling camera bag, the Airport Advantage Plus, designed to make reaching your assignment or photo destination with your gear easier. Lightweight at 6.9 pounds, the bag meets domestic and international airline requirements. 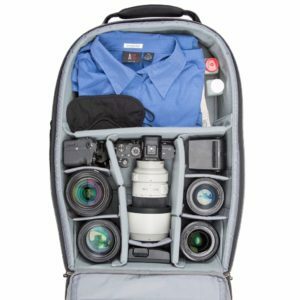 It can accommodate a variety of gear, fitting one gripped DSLR with a lens attached, one un-gripped DSLR with a lens attached, plus five to eight lenses, as well as a 17-inch laptop. 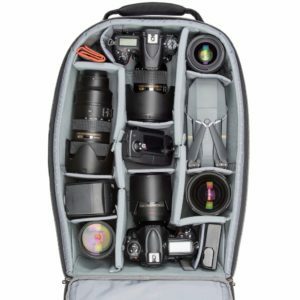 Or, it can fit two gripped DSLRs with lenses detached, as well as five to seven lenses. Mirrorless photographers will be able to haul two bodies with a substantial number of lenses. The bag can fit up to a 200-400mm ƒ/4 lens, detached, with the hood reversed. Made with 420D velocity nylon, the bag’s exterior fabric features a water-repellent coating, with lockable YKK zippers, extra-tall skid plates and handles, and quiet wheels with sealed bearings. Inside, the bag protects and organizes gear with a polyurethane-backed high-density liner, as well as closed-cell foam and reinforced PE board dividers. A seam-sealed rain cover is included. Interior dimensions are 13.4” W x 20.5” H x 4.9 – 6.4” D, and exterior dimensions are 13.8” W x 22” H x 7.3” D.
The Airport Advantage Plus holds one gripped DSLR with lens attached, one ungripped DSLR with lens attached, plus five to eight additional lenses, and a 17” laptop. Or, it can hold two gripped DSLRs with lenses detached, plus five to seven lenses. For Mirrorless users, the roller can fit two bodies with a crazy amount of lenses. It can hold up to a 200–400 f/4 detached (hood reversed) lens.